Viognier is a white-wine grape whose originas are unclear; best current guesses are that it came from what is today Croatia, but for almost two thousand years now, it has been a grape of the Rhône Valley in France. 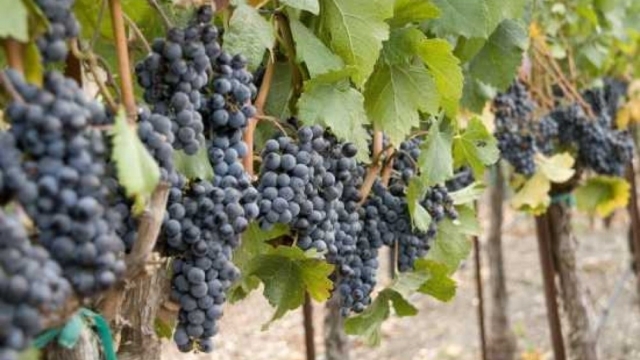 It is today generally considered one of the dozen and a half or so of world-class grapes (those in boldface in the dropdown varietals lists near the top of the page). Viognier, like many another varietal, is a "rescue" of recent times. Once regionally popular, by a quarter-century ago its plantings had dwindled severely, to the point where it might have been considered at risk of extinction (c. 30 acres total). But a revival of interest has catapaulted the grape into international prominence in modern times. At least one eminent wine expert has stated that modern Viognier plantings are of two clones, with rather markedly differing characteristics: an "Old World" clone, dominating plantings in Viognier's home, the Condrieu appellation of France, and a "New World" clone found outside France but also in the Languedoc region of France. Besides French plantings, there are also now extensive vineyards of Viognier in the usual-suspect New World wine regions, the U.S. (notably in the Pacific Northwest and in Virginia), Oceania (Australia & New Zealand), South America (Chile & Argentina), and South Africa. The foremost characteristic of Viognier wines is a powerfully floral nose, suggestive of Riesling or Muscat, but even more floral (if less "spicy"), thoroughly lush. These qualities manifest strongly when the wines are young, but as a generality do not last well in the bottle, with three years from vintage date often being cited as the limit for reliable drinking. 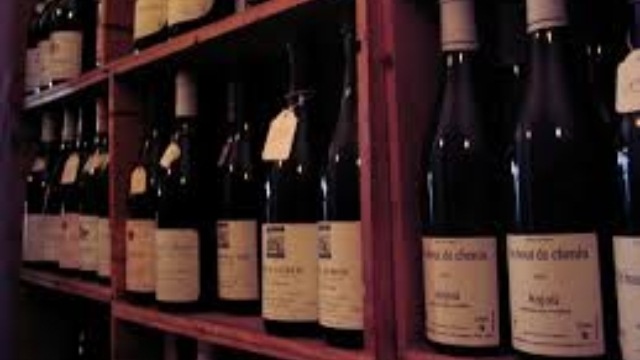 It is not, however, that the wines become "bad" when aged; rather, it is that they lose the floral quality and evolve into crisp but, as some put it, "flat" wines. But, since the pungent florality is the distinguishing and wanted quality, drinking them young is advisable. French Viognier-based wines are typically drunk shortly after release; New World wines can be so handled, but are a bit more inclined to at least tolerate some mild age. Factoid: DNA analysis has shown Viognier to be closely related to the Italian Freisa grape, and more distantly to the eminent red-wine grape Nebbiolo. "Viognier wines are well known for their floral aromas, due to terpenes, which are also found in Muscat and Riesling wines. There are also many other powerful flower and fruit aromas which can be perceived in these wines depending on where they were grown, the weather conditions and how old the vines were. Although some of these wines, especially those from old vines and the late-harvest wines, are suitable for aging, most are intended to be consumed young. Viogniers more than three years old tend to lose many of the floral aromas that make this wine unique. Aging these wines will often yield a very crisp drinking wine which is almost completely flat in the nose. 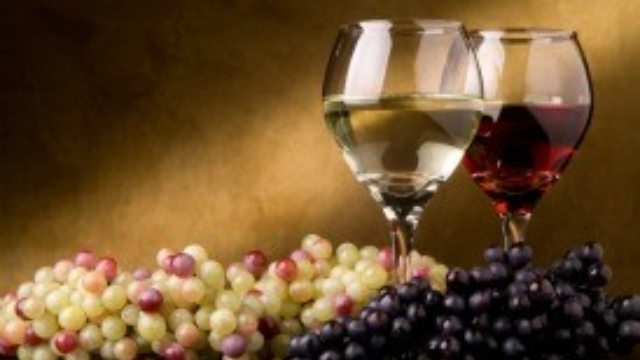 The color and the aroma of the wine suggest a sweet wine but Viognier wines are predominantly dry . . . It is a grape with low acidity; it is sometimes used to soften wines made predominantly with the red Syrah grape. In addition to its softening qualities the grape also adds a stabilizing agent and enhanced perfume to the red wine." "Viognier is an aromatic grape variety known for producing textural white wines with strong stone-fruit flavors. On the nose Viognier wines can be very floral, showing lavender and pollen aromas that are quite honeyed in sweeter examples. Apricots are the variety’s classic flavor association, often with a richness that can be interpreted as ripe peach. . . Viognier grapes have naturally low acidity and require a great deal of sunshine to ripen properly. Too much heat and they yield overblown, hotly alcoholic wine that lacks the fresh, steely, apricot zing that is part of the variety's appeal." "[Viognier] needs to be picked when fully ripe. If it is picked too early it fails to develop its classic aromas and rich tastes. But despite, or perhaps because of, this precariousness it has the most amazing clear, golden colour and the aroma of flowers and fruits at their freshest. Many talk of being surprised by the taste; the colour and nose hinting at something sweeter but the actually taste being dry with a variety of nuances both on the tongue and afterwards. . . The significant differences in taste between the Condrieu/Château-Grillet wines and those of the rest of France and the World have been put down to a number of factors. Two of the most prevalent are the soil and the strain of vine. 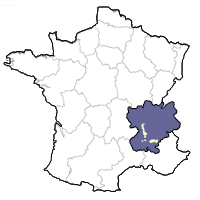 The soils of the Northern Rhône have a light sandy topsoil over granite while many of the other growing areas are more loamy to clay-like. There is also some suggestion that a mutant strain of the vine has appeared recently which now characterises most recent plantings and which results in grapes producing wine with less concentration. . Although low-acidity Viogniers do not require the heavy oaking to provide balance, some sensitive use of oak barrels can enhance the overall flavour. " "Like many other varietals, viognier must be harvested at its peak of maturity in order to display its unique aroma and flavor character. The grape's tendency to develop high sugar but low acid can result in wines with neutral, merely vinous flavors and high alcohol. . Probably the main attraction of Viognier is its potentially powerful, rich, and complex aroma that often seems like overripe apricots mixed with orange blossoms or acacia. With as distinctive and sweet an aroma-flavor profile as Gewürztraminer, Viognier is nevertheless usually made in a dry style and seems to appeal more to the typical Chardonnay drinker. The distinctive Viognier perfume holds up even when blended with a large portion of other grapes. The fruit usually has very deep color, but is somewhat low in acidity. . . Viognier alcohol easily gets out-of-hand, so some vintners leave a touch of residual sugar to mask the heat. The combination of heady aromas and sweet-hot flavors may be overbearing to some palates. Even for those who favor Viognier's brash personality, a little can go a long way and a single glass may satiate one's wine thirst. . . Because the prime appeal of Viognier is its fresh and striking aroma, it is a wine that should be consumed young in most instances. The exception is Château Grillet, where the grapes are harvested early and the wine kept in oak for several months prior to bottling; this wine has a reputation for aging up to two decades." "Viognier is capable of producing extraordinary wines with peachy aromas. On the palate, there are dry, luscious flavors of tree fruit, nuttiness and undertones of spice. At its best, it is lush and rich with amazing complexity. . . Aromas: Floral, Peach, Apricots, Apple. Flavors: Peach, Apricot, Apple, Nutty. Styles: Dry and medium-bodied with loads of fruit flavors." "Typical markers, or notes, of viognier include white floral such as honey-suckle or jasmine, as well as orange blossom. Along with a honey or honey-suckle notes, you’ll also find stone fruit flavors, peach, apricot, nectarine, as well as a nice spice component that can be described as baking spices. On the palate, you will find it to be typically fuller bodied, often with an oily or “lanolin” feel in your mouth." "This lush white from the French Rhone Valley is Syrah’s sister grape and one of the few white grapes that grows well in warmer climates. Its wines are rich and aromatic with pronounced notes of apricot and peach, often coupled with floral notes of orange blossom and honey." "Viognier's powerful aromas of peaches, apricots, and violets make it one of the world's most recognizable grape varieties. In the mouth, it shows great richness, flavors of stone fruit and honey, and a long finish. It is typically best drunk young." "[T]he wines it produces have a rich golden color even when young. Viognier is noted for making wine with a very perfumed aroma that can be compared to roasted pineapple, peach syrup, flowers or even fennel. The wines tend to be viscous and rich, with low levels of acidity. The better examples can be quite fascinating but if over production is a problem it can easily slip from big to oily and flabby." "The Viognier grape attacks your nose with notes of peach, apricot and other tropical fruits. Aromatic to say the least, this varietal is tough to grow, due to the narrow window of time when the aromatics and acids are at their peak. The best wines made from Viognier have a good balance of aromatic fruits and acid. The intensity of the fruit may be detected by tastebuds as sweet, although most Viogniers are dry. Not the best partner for a light meal, wine from this grape is nice with heavier sauces or rich shellfish." Viognier from its original home in France is absurdly expensive; more reasonable Viognier can be had from the Languedoc, but one has to pick and choose with care, and we had to put a lot of time into finding some apparently decent representatives from France at a plausible price point. We also sought out recommended Viogniers from the key New World regions, and have included a leading Australian, a noted Californian, and a nice couple from Washington State. That doesn't represent all the Viognier-growing world, but it's a good start. ♦ The Eden Valley Viognier is sourced from 3 different vineyards and in terms of quality sits in between Yalumba’s Y series and their Virgilius. Compared to the Y series, the Eden Valley Viognier is sourced from better vineyard parcels and fermented in oak barrels (while the Y series only sees stainless steel). In my opinion, it is well worth the few extra dollars. The Virgilius is renowned for being one of the New World’s best examples of Viognier, so this winery has clearly shown they know how to handle this difficult-to-grow grape variety. We tasted this one tonight and were yet again impressed by its weight and complexity. It’s got ripe fruit (apricot and melon), floral notes, lots of spice (cloves), and some almost bitter notes on the finish. It’s has a buttery texture which explains its weight, but enough acidity to keep it standing. So overall, it’s complex and intense, but still very well balanced. A bit over the $20 mark, but quite extraordinary. ♦ [A] long ripening period thanks to elevation and pronounced diurnal temperature variation results in a great value Viognier with good typicity, length and balance. And the winemaking respects this balance, with a 50:50 stainless steel and barrel ferment and ageing in large old barrels. A great vintage  for Eden Valley white rachets up the lifted, exotic factor – a musky, blossom nose which notes follow through on the creamy fruit salad palate together with a hint of fennel. Lovely mouthfeel, long and complete. Very good. ♦ "Bright, greenish gold. High-pitched aromas of lime, orange peel, pear and dusty minerals. Seductively fragrant but less exotic than most New World viogniers, offering spicy citrus fruit flavors and a subtle floral quality. Dry and firm on the finish, leaving behind spice and lime notes. ♦ Get it right, though, and it tastes like these – lucid, rounded like poached apricots, with a fresh twang like green mangos and Thai basil and just a touch of clean fire, I’m thinking radish shoots and ginger: a real uplift of a white. . . More peaches and nectarines and a greater degree of lusciousness. ♦ Extra spicy, with more pepper and flower stem character than fruit. Yet this holds together, with the pear flavors coming through on the finish. ♦ If You're Looking for Complex... Trying two different bottles of the Yalumba Eden Valley Viognier ($16) within a week was an interesting experiment. Although the 2009 was interesting and quite tasty, I have to admit, that many tasters initially found the smell off-putting. I've heard the phrase "cat piss" thrown around a lot in the wine world with reference to Sauvignon Blanc, which didn't really make sense to me, but most of us agreed this was a pretty accurate description of the scent on this one. But once we tasted it, the wine had a creamy richness and a nice earthy bitterness on the finish that kept us going for more. If you like Scotch, you may want to give this wine a whirl, as the unique, almost-peaty flavors could be right up your alley. Just one year younger, the 2010 Yalumba Eden Valley is a very versatile wine that could match up well with anything as fancy as a chicken-topped salad to as low key as a bag of salty potato chips (my pairing of choice). The scent was citrusy-sweet, and flavors followed through, hinting at Meyer lemon and nectarine, along with bready, biscuity flavors that probably resulted from the 10 months this wine spent on the lees. ♦ Pale gold with bouquet of strange but sweet fruit. Slight white melon aromas but the rest is a bit odd; not unpleasant, I just can't relate it to anything I am familiar with. Palate--Vibrant acidity highlights the foundation of a pungent and interesting fruity presence. It is crisp but I find it awkward if only because it is unusual to me. I just don't really know quite what to do with this wine. The good folks at the Wine Spectator gave this a 91 point rating calling it spicy pear and pineapple. I'm not getting the nomenclature or the rating. But this is not to say I don't like this wine. It is just unlike anything I have had which is saying something considering I have been studying wine since the mid 70's. . . So, I'll defer to the expertise of the Wine Spectator and say, raise a glass! ♦ Beguiling aromas of honeysuckle, lime, peach and baking spices are followed by palate-coating stone-fruit flavors. It shows an impeccable sense of balance. 90 points. ♦ This Stillwater Creek wine remains one of the best sites in the state for Viognier. It opens with a perfumed nose of jasmine, pear and starfruit. The palate has nice richness and depth. There are flavors of pear, green apple and honeydew. Delicious wine to enjoy in the summer. 90 points. ♦ The exquisite viognier — also a Rhone white, though not a grape I am generally partial to — reveals a masterful winemaking touch. It sends up an almost indefinable mix of flower petals, perfume, citrus rind and stone fruits; beautifully defined, racy and sharp. ♦ This is Stillwater Creek wine remains one of the best sites in the state for Viognier. It opens with a perfumed nose of jasmine, pear and starfruit. The palate has nice richness and depth. There are flavors of pear, green apple and honeydew. Delicious wine to enjoy in the summer. 90 points. ♦ Though viognier can often be very floral, the bouquet on this wine is mostly juicy peach and apricot with a touch of honeysuckle. The zesty stone fruits hit the palate with bright acidity, even a bit of green apple, then mellow to a hint of warm spice in the finish. ♦ Bright aromas of vanilla, custard, flowers and peach lead to a creamy palate, filled with vanilla notes. The oak plays a bit too prominent of a fiddle but there are lots of good things going on. 88 points. ♦ Creamy and refreshing, this is a mélange of lime rind and flesh, melon and pineapple, with the crispness of a mountain spring. ♦ Very floral on the nose with notes of soft fruits (peaches, apricots) white flowers and underlying apple. Big mango and papaya notes on the palate with a dry backbone. Feels like it’s going to overpower the palate, but it never goes there. Finishes dry with an apple skin component coming through on the lingering finish. This is definitely a viognier to cut your teeth on if you’re trying it for the first time. 89 points. ♦ Pale, greenish straw yellow. Nice nose with citrus, honey, and floral aromas. Lime and lemon come through on the palate. Dry and light-bodied with tart acidity and a very long, refreshing finish. Quality: 3.5 stars (out of 5); QPR: 2 bangs for your buck (out of 5). ♦ The 2014 The Estates Viognier has aromas of orange blossom, wet stone, jasmine and white peach. It has a round and soft generous mid-palate with a bright acidity and finishes clean. ♦ Coming entirely from Gimelli Vineyard in San Benito County, this bottling, which is aged in neutral oak and concrete, shows squeezed Meyer lemon, Gravenstein apple, rain on slate minerality and key lime pie on the nose, which balances citrus with minerality. The palate is rather light and fresh, with cement, squeezed lime and yellow apple skin flavors. 89 points. ♦ This yellow-gold Central Coast wine has loads of peaches, apricots, and honeysuckle on the nose with traces of oak. Plenty of peach on the palate, accompanied by flavors of ripe pear, lychee nut, white flowers and crushed stone…Yet, like all food-friendly wines, the Calera viognier exhibits a backbone of acidity which mimics the tanginess of the green olives and braised pearl onions, while refreshing your palate. ♦ It is 100% Viognier with all the grapes coming from the Gimelli vineyard in San Benito County. The wine has a lovely perfume with a faint floral/herbal quality and a tinge of spice and citrus. Light and crisp with delicate floral tinged citrus flavors this Viognier is very pure and very tasty with early appeal. Highly Recommended. ♦ Light straw color in the glass. Lovely perfume of tropical fruits including papaya with notes of lemon curd and honeysuckle. Moderately rich with plenty of glycerin intensity and minerality. Tasty composite of pineapple, roasted apple, poppyseed and white peach leading to a clean, richly fruited finish. Very impressive and the best example of this varietal currently being produced in California. Very good. ♦ Dark yellow-light gold in the glass. Floral, honeyed, peach, apricots, orange on the nose. Good acidity, floral, a marmalade mixture of apricots, grapefruit, orange, lime, light citrus rind, very spicy, peppery, quite rich and intense, oily in the mouth but with enough of an acidic edge to also be clean and refreshing. Tangy citrus rind on the finish. A very impressive wine. ♦ [It] s full-bodied and dry with notes of apricot, limestone, white flowers, and lanolin. I give it 3 out of 5 stars. ♦ This week’s wine is a fantastic example of what a well made Viognier can be. The 2007 Michel Gassier Les Piliers Viognier is a beautifully perfumed wine with strong flavours of dried apricots, peach, candied fruits and cantaloupe. . . At $18.95, the Michel Gassier Les Piliers is a top notch wine for a great value. I recommend you go and try it. ♦ Full, ripe wine from an estate owned by the Seysses family of Domaine Dujac in Burgundy. Peach and lime flavors come together in a broad brush of fruit, warm and rich. 88 points. ♦ Sainte Fleur Viognier has a very distinct bouquet. It smells like a beautiful garden of flowers. As you swirl your glass and allow the aromas to open up, you should get an intense fragrance of sweet honey. But as you’ll discover with wine, what you smell isn’t always with you taste. This Viognier is actually very acidic, which holds true for many French whites. It definitely leaves a pucker that lingers in your mouth. This wine strikes a nice balance between aromatic richness, crisp acidity and mineral structure. I’m used to the more fruit-forward Viogniers from California, but if you don’t mind a little tartness, then definitely try this one. ♦ La Sainte Fleur Viognier is made with 100% Viognier which is fermented and aged in stainless steel tanks. The wine tastes of apricot, honeysuckle and lavender honey. It is crisp with a round mouth feel. ♦ Eye: Clear, warm straw color. Nose: It has that waxy element, floral & fresh, smells clean, a little like detergent (but in a good way). Mouth: Rich mouthfeel, like whole milk. Pretty lively, but low acidity. A touch of mineral. The least-expensive of the well-reviewed Viogniers not altogether out of even our "splurge" class is the Yalumba "The Virgilius" Viognier. This page was last modified on Friday, 2 June 2017, at 11:39 pm Pacific Time.